Five years ago, Ed Fagan disappeared and since then nothing has been heard from the serial killer known as the Night Hunter. Now, a Dublin newspaper has received a letter from someone claiming to be Fagan, and the message is chilling: he's going to kill again. At first, the Dublin Police are inclined to dismiss the letter as the work of a crank. Then, the body of prostitute Mary Lynch is found, and it's only too clear that a murderer is at large again. 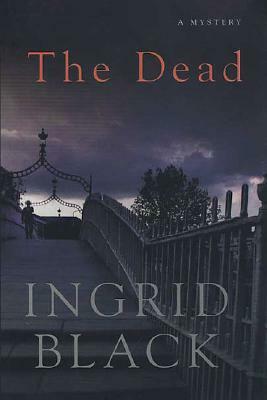 Saxon, a former FBI agent still haunted by the events of five years ago, was writing a book about Fagan when he disappeared, and she is certain as anyone can be that the killer must be someone else. So while Detective Chief Superintendent Grace Fitzgerald and the rest of the DMP sniff at a cold trail, she somehow has to convince them to look beyond the obvious. But in a city of shadows and secrets, that's never easy--especially when the truth is so surprising that even the most astute detective would be shocked into carelessness in the moment of discovery. And as Saxon knows, it's never wise to be careless in the presence of a killer.